Hop growers all over the world work tirelessly to cultivate new varietals, like HBC438, in hopes of breeding the new Simcoe, Citra etc. but over the last handful of years there hasn't been a hotter region for hops than New Zealand. From Motueka to Waimea, my personal favorite being Nelson Sauvin, the hops coming from New Zealand are super unique and beautifully expressive varietals. So when a commenter here on the blog pointed me to a "new" New Zealand varietal called "Brooklyn" I had to give it a try of course. Tight vacuum sealing makes for a crappy photo. Brooklyn, as described on New Zealand Hops website, is a high alpha acid hop with "generous weight of oil" and low cohumulone expressing flavor and aromas of "grapefruit, tropical and passionfruit." That description was enough for me to buck up and order some, which wasn't particularly cheap, but I can't help myself with those descriptors. Right, so the description on NZ Hops has changed since I started writing this post, but the one on Brewshop.co.nz has not, so which is it now? I wanted to leave what the initial description that inspired me though NZ Hops now reads "intense fruity oils with top notes of baking spice and sweet hay." not nearly as exciting as originally advertised but is more in line with what I got from the hop. I'm not sure if I would have used this hop the same way had I read that description first. As a standard practice, I used something similar to my HopWards recipe as the base to build from to put Brooklyn to the test by way of a single hopped beer. I did however tweak things a little bit by using Pilsner as the base malt and Naked Golden Oats instead of Flaked Oats, ended up a split boil batch with a Saison as well. One of these days I will get one of those snazzy stainless dry hop tubes, but for now my bags work. Upon opening the bag on brewday I was bludgeoned with aromas of fruit and some spicy notes which kind of surprised me. I didn't really get the "tropical" note in the description (Erhmm) but still some very fresh smelling hops. Brewday was uneventful, which with two kids is rare, but I did end up with a slightly higher than normal efficiency due to a new bag of Avangard Pilsner I grabbed recently. I might have mentioned it here before but if you use Pilsner and worry about efficiency then grab some Avangard, the points per gallon are super high and you'll see a %5+ jump in efficiency immediately. Its also very competitively priced. The beer ended up a bit more dry than I wanted at 1.006, some drift in the 5th generation of my 1318 pitch maybe but the fermentation is not where this beer went wrong. Oh, did I mention this didn't turn out great? Spoiler alert this beer didn't turn out great, but first the notes. EDIT: Not long after this was posted Brooklyn was renamed NZ Moutere. Go figure. Appearance: Really what's the point here, it's pale and hazy, as all my beers tend to be. Maybe a touch darker than normal due to the Naked Golden but still pale, moderate lacing and hazy, not murky, which a bright white thick head. Aroma: Notes of lime, and some non descript fruit in there, not malt character at all. Overall a subdued aroma for such a heavily hopped beer. Flavor: The first sip is bracingly sharp, dry and a little bit chalky with a lime note. After your palate adjusts to that initial shock, which isn't very appealing frankly, the drink settles in and is a bit better. The chalkiness seems to subside and you're left with a very dry lime-y beer, but still teeters on the edge of being chalky and way too dry. When I say teeter on the edge I mean it's totally falling over that edge and it's definitely beyond the point of enjoyable. Overall: Not my best for sure, not a dumper, but I find myself reaching for other beers over this when I stroll to the taps but maybe it will age out nicely, doubt it. That chalkiness is very distracting, combine that with how dry the beer is it's not all that enjoyable. Unfortunately I believe that the hop is mostly to blame for that, the chalkiness sounds like a water thing and maybe it is, or maybe its the sum of them both. But I'm not just randomly tossing out those accusations, I do have some reasoning behind it. This batch was split in various ways, first off it was a big mash and the run offs were split evenly into two separate kettles. I took 10 gallons of the runoff for this batch to be boiled and 10 gallons for a Saison batch to be boiled separately, this grist is versatile for both styles and I like to maximize my brew days with split batches. The 10 gallons of this pale ale were fermented together then split off into separate kegs and dry hopped differently. I have the Brooklyn single hopped batch of course and the other keg was double dry hopped with Nelson Sauvin and Citra, two rounds of 6 ounces for a total dry hop of 12oz for a 5 gallon keg! That Nelson/Citra beer doesn't exhibit any of the chalkiness so I know its not water, mash, fermentation related. It is very dry just as the Brooklyn batch but it is not as "biting" and palate shocking. The dryness hits you and is wafted away by waves of Citra and Nelson, a very good hoppy beer. The Saison, post on that beer coming soon, shares little to nothing with the two hoppy beers. So it can't be the water alone so I really think it all comes down to overdoing it with the Brooklyn, at least on the cold side since it was totally fine before the dry hop. Shame because the beer pre-dry hop had some promise but this is how it goes sometimes with single hopped beers. There wasn't a ton of information on Brooklyn around the interwebs (and it seems even the site I got information from has since changed its description) so I threw caution to the wind and used my standard hopping rates, just didn't work out. So as far as a conclusion on Brooklyn goes, I think it still has promise but not with the ratios I used and possibly not on its own either because this beers hop aroma is one dimensional and fairly subdued. I have a bunch left and plan to use it in some Saisons, that lime-like character sounds like it could work super well. 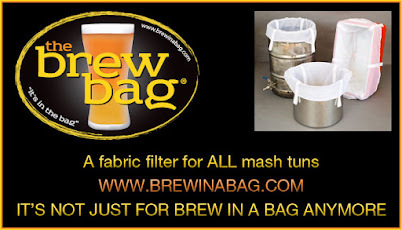 But for over hopped New England style hoppy beers go, use a deft touch or maybe even look elsewhere. As I mentioned, I brewed a large batch, but here is a scaled down 5 gallon version. Misc: 30 seconds of pure O2. Cherry Hill, NJ Tap water. Mash pH 5.34, Water Profile ( 132ppm Ca, 5ppm Mg, 7ppm Na, 155ppm Cl, 76ppm SO4). Some acid malt and some Lactic acid was used to lower the mash pH, your water profile may vary. 10 gallons was run off into one kettle that was single hops with Brooklyn, 10 gallons was run off into another for a Saison with Nelson Sauvin. 5 gallons of the single hopped Brooklyn boiled batch was dry hopped with Brooklyn alone, the other 5 was dry hopped with Nelson Sauvin and Citra. 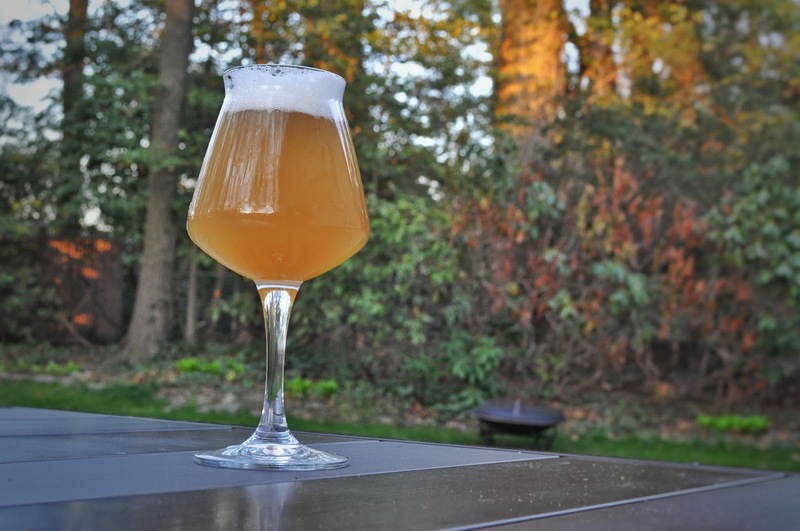 Notes: Fermented at 66f for 7 days, bumped to 72f for 3 days then kegged and dry hopped in the keg for 5 days. Beer was tapped 18 days from brewday. Slurry was harvested via my standard method after kegging. You think maybe the hops were oxidized? I had this happen once with some oxidized Amarillo in a dry hop. Happened to the first 5 gallons I tapped, then tasted the second 5 gallons pre-dry hop and didn't get the chalky flavor. When I dry hopped that second batch it was there again. Good call, they very well could be! That would make a lot of sense, and sounds like you had the exact same experiences as I did. ILive in New Zealand, and recently used these hops in a Dryhop for a Black IPA. Like you the beer had some promise pre-dry-hop, but fails to back it up. The commercial beer I tried before this hops was released, was very promising. the tropical and spicy note metnioned were present, so I wanted to give it a crack. It'll be awhile before I try these hops again, and I think I'll use these as a mere back up hop to add layer of flavours to a pale ale/ipa type beer, rather than on its own. I think it would work well enough with Something more punchy like Motueka or something. Have you been ramping up your temps near the end before this batch? Think that contributed to those last few points being eaten up? Hey Ed. Love your site and blog posts. Keep it up! I have had the same experience with an extra pale ale (3srm) heavy on oats, us-05, hopped with Simcoe and Centennial hot and cold. I know for a fact the Simcoe isn't the culprit. This batch of Centennial T90''s is just awful. Dusty, ashy, chalky, insanely bitter and just plain horrible ONLY AFTER THE DRY HOP! None if that trademark Centennial aroma. I've put it down to a bad 5kg bag...oxidised I reckon...but it surprises me as they are pellets. The other thing is that Centennial varies hugely as it's so widely grown...I guess some are just rubbish. I do hope the 200kg of 2015 crop I have on contract are a bit better! As a side note you have inspired me to give s-04 yeast a try at lower temp in pilot batches...pleasantly surprised! Not quite on the 1318 level of great in hoppy beers but good.